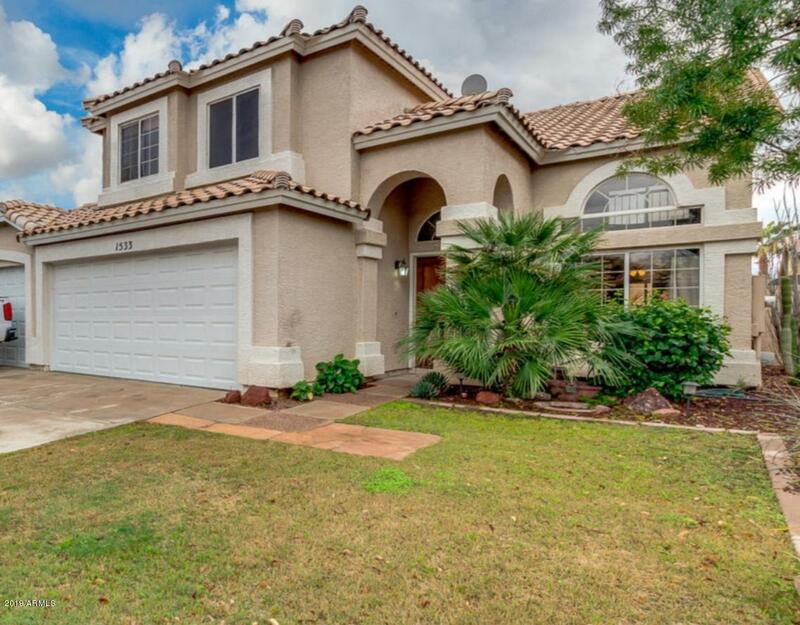 All MARTINQUE 3 AT THE ISLAND homes currently listed for sale in Gilbert as of 04/22/2019 are shown below. You can change the search criteria at any time by pressing the 'Change Search' button below. "Spectacular home in Gilbert's; THE ISLANDS SUBDIVISION is now on the market! Featuring grassy front yard, 3 car garage, and great curb appeal. This amazing 3 beds, 2.5 baths (Bathrooms Upd 2019). Vaulted ceilings, designer paint, great room, NEW hardwood floor (2018) in main areas, family room with fireplace, and a spacious loft. Lovely kitchen is equipped with nice appliances, ample cabinetry , pantry, granite countertops, and breakfast nook. Master suite has plush carpet, luxurious bath with d"